SOCAR and Total held discussions on prospects for future cooperation, including the development of Absheron gas condensate field in the Caspian Sea. President of the State Oil Company of Azerbaijan SOCAR Rovnag Abdullayev received a delegation headed by Total Vice President for Southern Europe and Caspian Region Bernard Clement on December 21. Representatives of Total confirmed that the Absheron field has large hydrocarbon reserves (326 billion cubic meters of gas and 108 million tons of condensate). In late 2016, SOCAR and Total signed a framework agreement on the main contractual and commercial principles regulating the program for the first phase of development of the Absheron field. At the first stage, the field development includes drilling one well at a depth of 450 meters. The extraction will amount to 1.5 billion cubic meters of gas a year, which will fully flow to the domestic market of Azerbaijan, as well as significant amounts of condensate. The agreement on exploration, development and share distribution of production at the Absheron offshore block was signed in 2009. At present, SOCAR and Total have equal shares in the project (50 percent each). The Absheron gas field is an offshore natural gas field in the Caspian Sea. 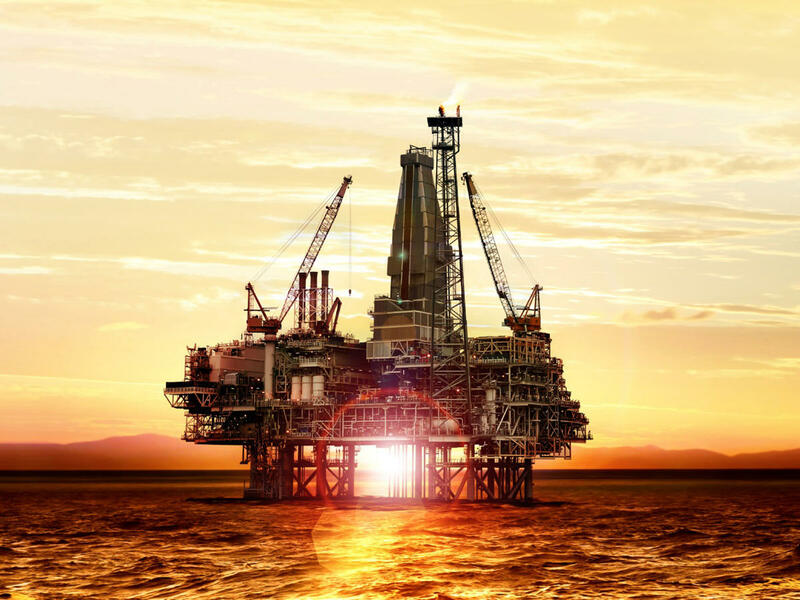 The field is located 100 kilometres southeast of Baku and 25 kilometres northeast of the Shah Deniz gas field. It covers approximately 270 square kilometers. The field is expected to contain 350 billion cubic metres of natural gas and 45 million ton of gas condensate. According to Azerbaijani authorities, the production is likely to being in 2021-2022. SOCAR is a wholly state-owned national oil company headquartered in Baku, Azerbaijan. The company produces oil and natural gas from onshore and offshore fields in the Azerbaijani section of the Caspian Sea. The company includes such production associations as Azneft (the enterprises producing oil and gas onshore and offshore), Azerikimya (the chemical enterprises) and Azerigas (distributor of gas produced in the country), as well as oil and gas processing plants, service companies, and the facilities involved in geophysical and drilling operations. Total is the world’s fourth-largest oil and gas company, as well as a major integrated player in low-carbon energies. Backed by nearly a century of history the company discover, produce, transform, market and distribute energy in a variety of forms, to serve the end customer.